Cowboy Up is a bull you REALLY need to pay attention to. 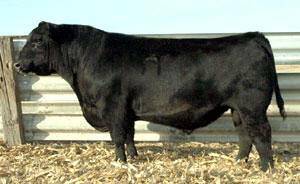 He was the top selling bull at the 2004 Wagonhammer Ranch Sale, NE. He is the best Forefront son when it comes to length and cleanliness of front. 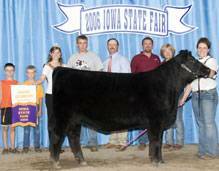 His dam is Wagonhammer's best cow. 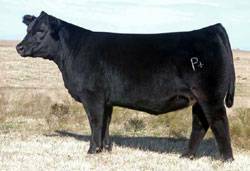 Cowboy Up can be used for both purebred and club calf use for heifers. He's ultra deep bodied and sound! 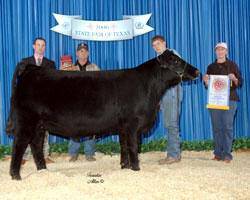 His first daughter at auction brought $34,000 at Duff's, OK.